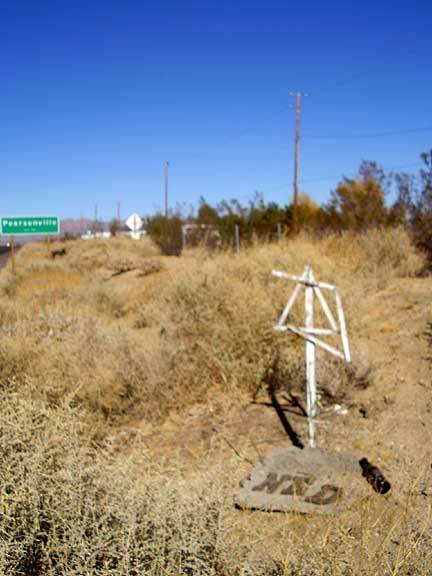 Description: A wooden Jewish Star of David graces the side of this lonely desert road. It is quite inventive: a concrete pad has been poured, and the delicately hammer star is securely planted. Large wood letters spell out the victim's name: Ned. The obligatory fake flowers are attached to the cross, along with a whistle.